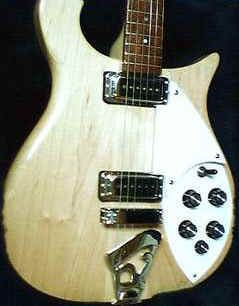 The model 610 is a solid body neck-thru-body guitar. Two hi-gain pickups and an R-tailpiece. Maple neck and body, rosewood fingerboard 21 frets and dot markers. The "cresting wave" cutaway body is countoured. Mono output is standard.